This Thing Called Life! 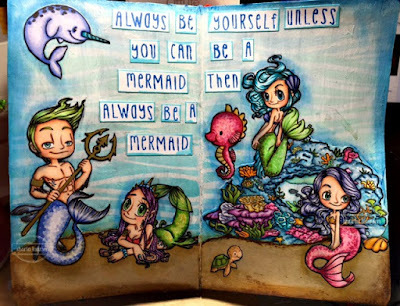 : Always Be a Mermaid!!! 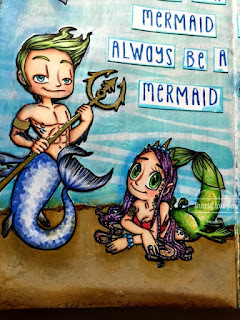 Mermaids have always been a favorite in my family, ever since my son was a toddler and Disney's Little Mermaid came out, he was in love with Ariel (sorry son :P ), my daughter too, Ariel is her favorite Disney Princess. Then when she hit the tween age it was Aquamarine, trust me, I've watched both these movies more times than I can count. I think mermaids fascinate me so much because the thought of being able to swim, and live under the water actually terrifies me and they make it look easy, graceful and glamorous. I know they aren't real, but with all things fastastical and mystical, it's fun to pretend! 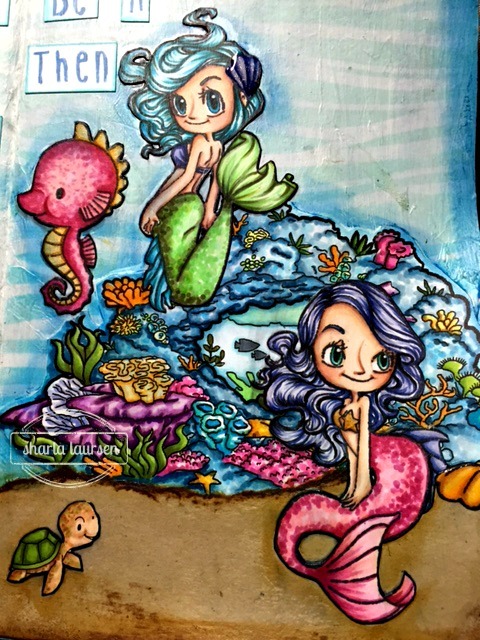 I colored all the images with copics, the sea is made with a wave stencil from Simon Says Stamp, the waves are distress ink in Tumbled Glass, Mermaid Lagoon, & Peacock Feathers. The quote is made from Your Next Stamp clear letter stamps and the sand is torn cardstock. This was truly a labor of love as it took many hours, but I'm so happy with how it turned out, I think it would also look fabulous on a canvas!! I do apologize for a little glare on the pic. This is so good! Thanks for linking up over at 2 Creative Chicks. Wow Sharla! How amazing is this! So much to look at and appreciate! 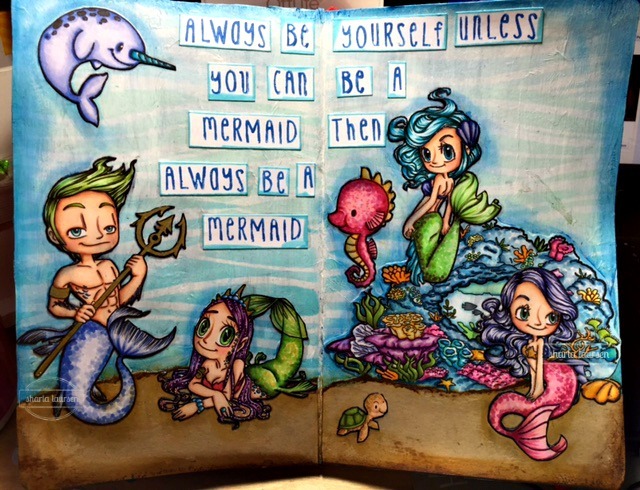 I want to be a mermaid too! Thanks for joining us at Kraftin' Kimmie! I too want to be a mermaid! 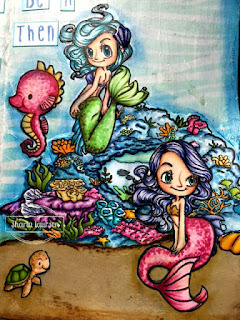 I love SOG stamps and her mers are so wonderful! You may love AuroraWings too. She has some lovely mers!